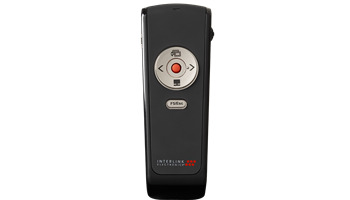 Designed with 5 intuitive presentation control buttons, a unique scroll wheel for long document maneuver, integrated receiver dongle storage and a built-in laser pointer to bring audience focus, the VP4550 features up to 70 feet of wireless freedome for presentation delivery. This Windows and Mac compatible presenter offers ease of use for all levels of users. Overall Dimensions: 7.1" x 3.6" x 2.2"